From our reporter – Evidence has surfaced that seems to support claims from undisclosed sources that Haas is a mutant basking shark. Quite how Haas has turned out to be such a successful rabbit is unclear, as cases of trans-species mutation are extremely rare, and have not been documented since Charles Darwin returned from his 1838 trip to Gallifrey. The newly emerged photographic evidence clearly show shark gills on Haas’s left side. 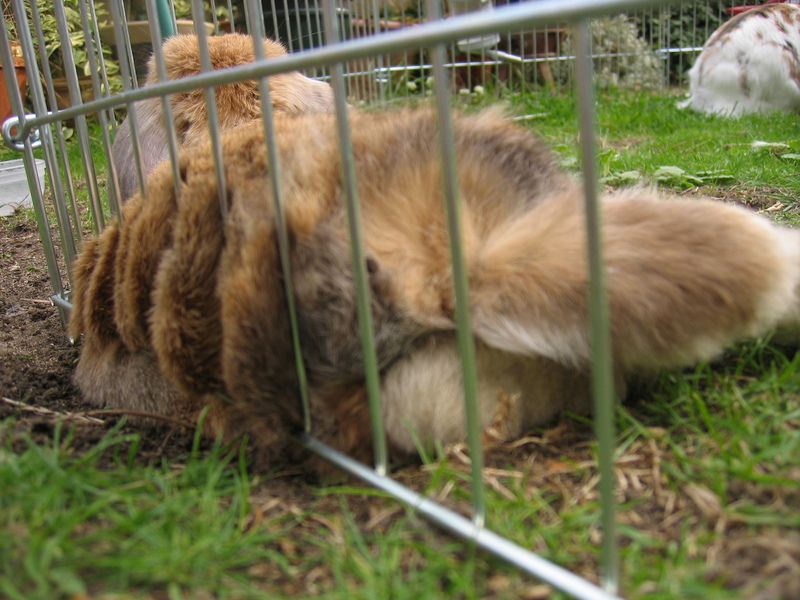 Haas has denied the rumour but refused to comment further, saying that he was too busy basking in the garden. Hmmm, perhaps this genetic curiosity is somehow related to his recent ill-health?? Argghhh! Just when you thought it was safe to go back in the garden.